What would Halloween be without a story such as the one that you are going to be reading in a moment. First off, the Internet has all sorts of stories about Valentino’s Cursed Ring posted on Facebook groups, websites and blogs. So I found an old book that had something about Valentino’s Cursed Ring which I thought you the reader might enjoy. In the vault of a Los Angeles bank lies a silver ring set with a semi-precious stone. It is not a particularly pretty ring or even a very valuable one (depends on story version). But the chances are that no one will ever dare to wear it again. For it bears one of the most malicious curses in the history of the occult. Successive owners have suffered injury, misfortune, even death. After all these years, people still believe that it was this ring that send Rudolph Valentino to a premature grave. Certainly, the violent incidents that have surrounded it over the past 60 years or more can hardly be shrugged off as mere coincidence. It was in 1920, that Valentino, at the peak of his success, saw the ring in a San Francisco Jewelry Store. The proprietor warned him that the ring had a record of ill-luck, but Valentino still bought it. 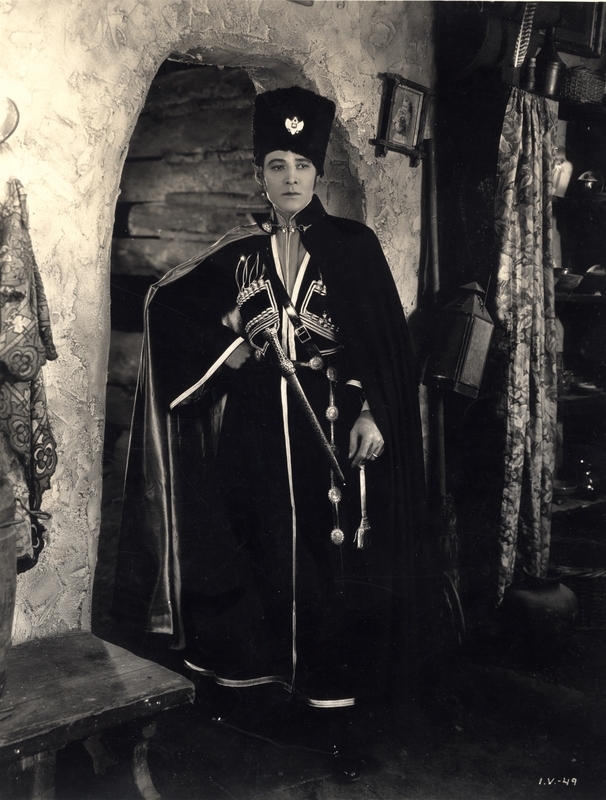 He wore the ring in his next picture, “The Young Rajah” which is now a lost film. This film was the biggest flop of his career to date and he was cut-off from the screen for the next two years. He did not wear the ring again until he used it as a costume prop in “Son of the Sheik”. Three weeks after finishing the film, he went on tour to New York. While wearing the ring, he suffered an acute attack of appendicitis. Two weeks later, he was dead. Pola Negri, alleged fiancé’ of the now deceased movie star asked to pick a memento from Valentino’s possessions, chose the ring and almost immediately suffered a long period of ill health that threatened to end her film career. A year later, while convalescing, she met a man who was almost Valentino’s double: Russ Colombo, who was competing as a crooner against Bing Crosby and Rudy Vallee. When Pola was introduced to him, she was so struck by his resemblance to Valentino that she gave him Rudolph’s ring, saying “From one Valentino to another”. Within a few days of receiving the gift Russ Colombo was killed in a shooting accident. His cousin passed the ring on to Russ’s best friend, Joe Casino. Also, at the height of his popularity as an entertainer, Casino took no chances with the ring. Instead of wearing it, he kept it in a glass case in memory of his dead friend. When he was asked to donate the ring to a museum of Valentino relics, he refused, saying he treasured it for sentimental reasons. As time passed, Joe Casino forgot the ring’s evil reputation and put it on. A week later, still wearing the ring he was knocked down by a truck and killed. By now, the curse was front-page news. When asked what he proposed to do with to do with the ring, Joe’s brother Del explained that he could not allow himself to be intimidated by a curse or a ghost or whatever it was. He didn’t believe in things like that. Del Casino wore the ring for some time and indeed nothing untoward happened. Then he lent it to a collector of Valentino relics who suffered no-ill effects either. This caused several newspapers to speculate that at last the evil influence of the ring had come to an end. And that, it seemed was enough to trigger off a new wave of violence. One night soon afterwards, the home of Del Casino was burgled. The burglar, a man named James Willis, was seen by the police running form the scene. A policeman fired a warning shot but the bullet went low, and killed Willis. Among the loot found in his possession was the Valentino Cursed Ring. 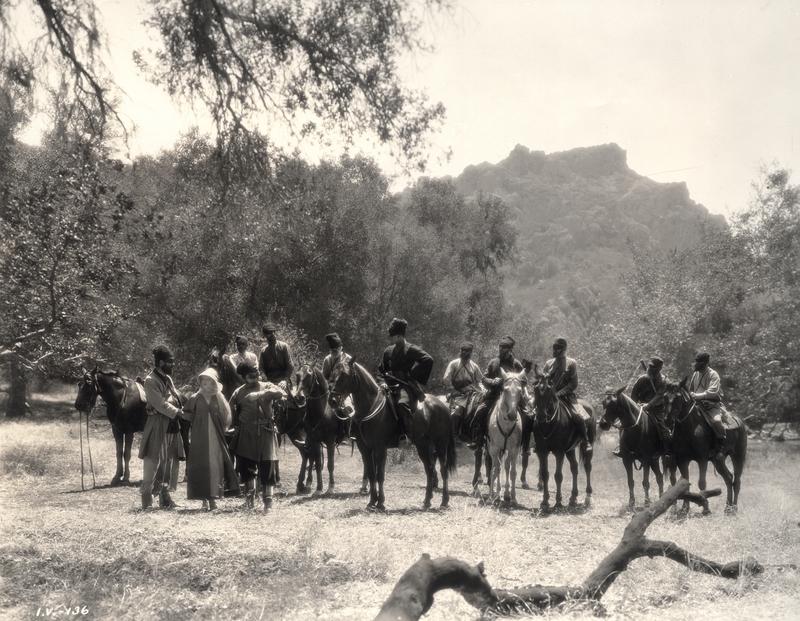 It was that time that Hollywood producer Edward Small decided to make a film based on Valentino’s career. Only 21 years old, Dunn died 10 days later from a rare blood disease. A year after Jack Dunn’s death, a daring raid was carried out in broad daylight on a Los Angeles Bank in which the thieves got away with a haul of over $200,000. In a subsequent police ambush, two of the gang members were caught and three passersby were injured. The bank robber’s leader Alfred Hahn, was ultimately jailed for life. At his trial, Hahn remarked “If I’d have known what was in that vault apart from money, I’d have picked myself another bank”. For in the bank’s safe deposit was Valentino’s Cursed Ring. The executers of Del Casino, who have owned the ring for the past ten years, have left it in the bank vault under lock and key. It has not seen the light of day for years. But the bank is now allowed to forget its existence. Since 1960, there has been a $50,000 robbery, a fire, and a 3 week strike of cashiers. Can an inanimate object exert a malign influence on those who come in contact with it? All those over the years, suffered the curse of Valentino’s ring have little doubt it can. It you doubt this then I guess it makes a great Halloween story. The Strange and Uncanny (1967). Rudolph Valentino, the cinema actor, is a poet. He. is publishing a collection of short poems in a volume entitled ‘Day Dreams.’ If Valentino’s verses are as ‘soulful’ as he endeavours to make his acting at times, his feminine admirers will experience further emotional thrills. Mr & Mrs. Valentino appeared at the armory Sunday afternoon and evening with their own band. It was a most disappointing exhibition, and audiences of both performance fell way below expectations. Mr and Mrs. Valentino danced exactly 40 minutes. He then spoke briefly on his picture work. The afternoon audience waited patiently for almost two hours because the train carrying the Valentinos was hours late. “If I ever make another Sheik picture, it will be an honest-to-God last one. “Why, I didn’t even look like a Sheik in the other one. I was a drawing room hero. “Don’t you like flappers?” someone asked. “That’s a subject I never discuss. I am not qualified as a judge of women. Any man who says he understands women is either a fool or a liar”. “ I am in the dark, I don’t know what she is going to do. All I can do is await the lady’s pleasure”..Rudolph Valentino on the status of his marriage 9 Nov 1925. A woman is fundamentally the same, whether she is a movie star or a Park Ave society bud the happiest moment in her life is when her hair turns out just right. But that does not mean that women have a corner in the personal vanity market. NO woman in the world could be more fussy about their hair than a male movie star. These are the deductions of an expert, Ferdinand Joseph Graf, for three years, the official hairdresser to moviedom who is now at Arnold Constables. Mr. Grafs first job with Famous Players was to prepare the wigs for Valentino in “Monsieur Beaucaire”. 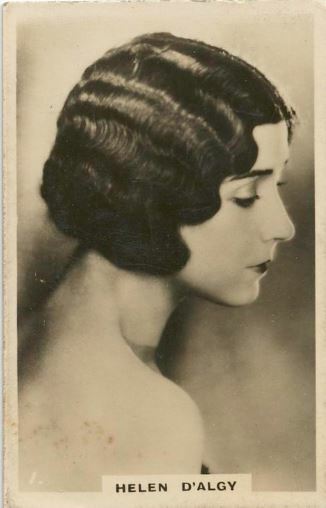 Natacha Rambova the stars wife, brought him out to the studio from the 5th Ave beauty parlor she patronized for that purpose. He liked the work so well and the stars apparently liked him so he well became the official hairdresser at the studio for three years. Crown Point became the marriage mill of the Midwest because couples could obtain a license and be married immediately by justices of the peace with offices nearby, by the city’s mayor, clerk-treasurer or local judges. 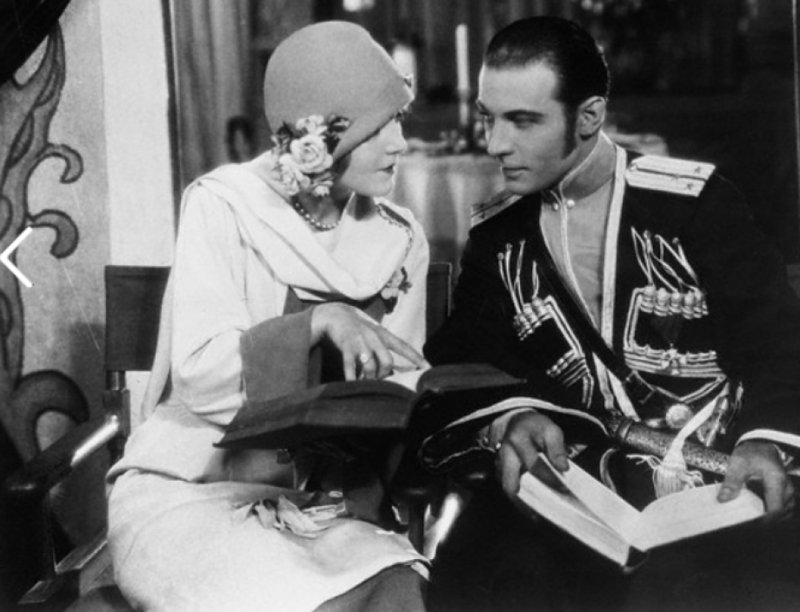 For example, on March 14, 1923, Rodolfo Guglielmi (AKA Rudolph Valentino) and art director Winifred de Wolfe (AKA Natacha Rambova) applied for a marriage license. They had traveled to Chicago to be married when his divorce from his first wife became final, then learned that Illinois law required a year’s wait for a remarriage. They traveled to Crown Point, where he took out a marriage license listing his birth name as Rodolfo Alfonzo Rafaelo Pierre Filbert Guglielmi de Valentine D’Antonguola, and his occupation as motion picture player. “As he left the (license) office, Valentino (and his bride) crossed the street and went to the second story of the building where Howard Kemp, the justice of the peace, performed the ceremony,” recalled Wilbur Heidbreder, now 92, who worked for the Lake County Title Co. and was at the Old Courthouse at the time of Valentino’s wedding. After the ceremony, the couple strolled by a few stores and stopped in a bakery, where the heartthrob bought a doughnut for his new bride, Heidbreder recalled.